i'm going to admit something. don't judge me, please. 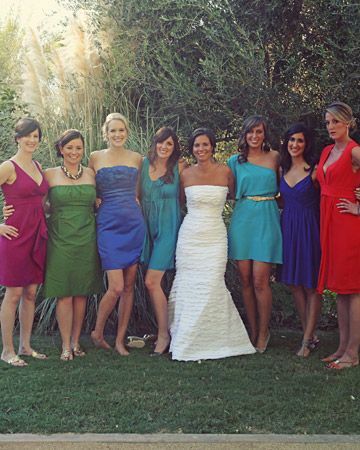 ok, here goes: i love matching bridesmaids! i'm serious. i used to think it was so tacky to have all the bridesmaids in matching dresses and colors but i've totally come around to being an advocate for the matchy-matchy bridesmaids. i do also love the "same color theme, different dress style" too, so i'm not completely mad. but there's something kinda cool about the fully matching maids. what do you think? are you going "full-match" or "semi-match" or "absolutely no way in hell are my bridesmaids matching?"